Looking to get one last run in before we say goodbye to 2017? Want to be able to say you did Phoenix's first 5K of 2018? 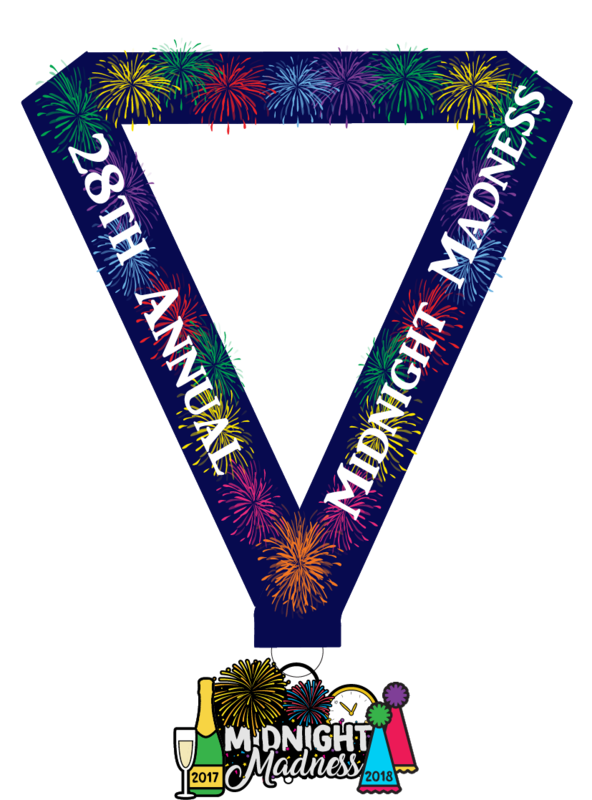 StartLine Racing is honored to continue a true Phoenix tradition by hosting the 28th Annual Midnight Madness run as we celebrate the end of 2017 and the start of a new race year! 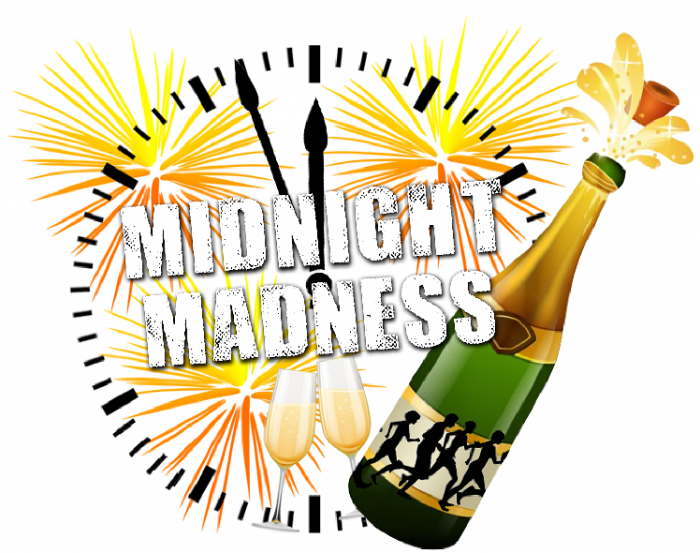 This year's event will feature the final race of 2017 on December 31st at 10:30pm and the first race of 2018 with a run on January 1st at 12:10am with a New Year's Celebration and Sparkling Cider toast in between. 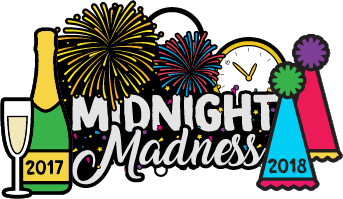 Of course we would love for you to run the 28th Annual Midnight Madness event with us locally but we understand plans change. 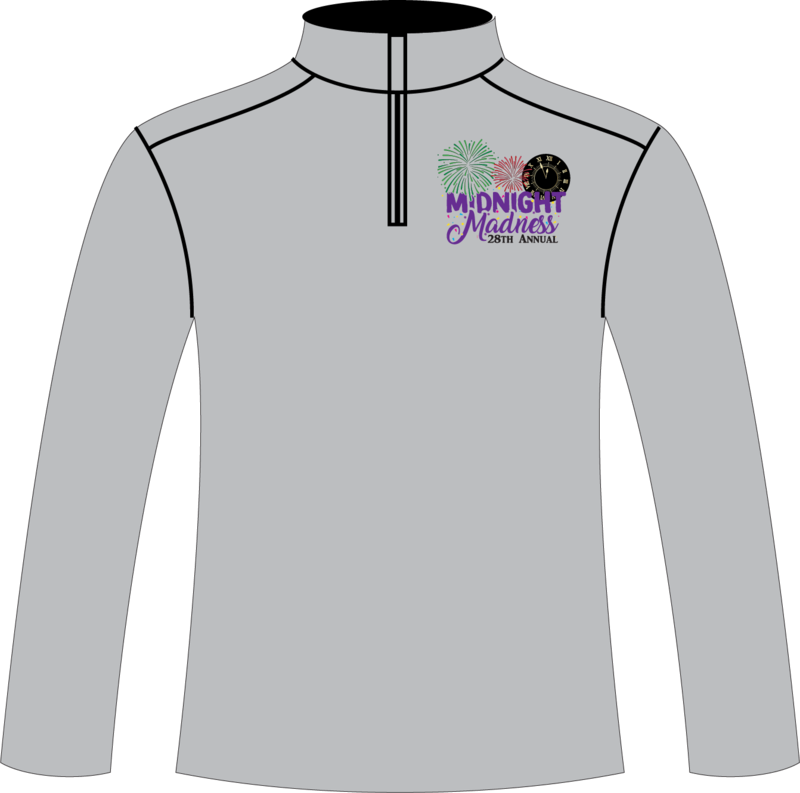 So, if you can't join us on race day and still want to run, get the medal and the long sleeve jacket then you still can! Here is a way for you to take part in this annual event no matter where you are! And of course all prices include shipping! Please note that all items will be shipped after the completion of the event on January 1st. Custom Event Glow in the Dark Finisher's Medal. Race Day Registration will be available beginning at 9:00pm.